Sandwiched between Mexico's popular Yucatan peninsula and perpetually hip Belize, Guatemala can be easy to miss—and tempting to skip. However, whether you're search for ecotourism adventures or cultural revelations, this tiny country packs a big travel punch. As it turns out, the list of reasons to visit Guatemala is much longer than you might expect. From dreamy destinations, to engaging experiences, to a few wild card items that truly set the country apart, here’s why you should make sure your next trip south of the border includes Guatemala. 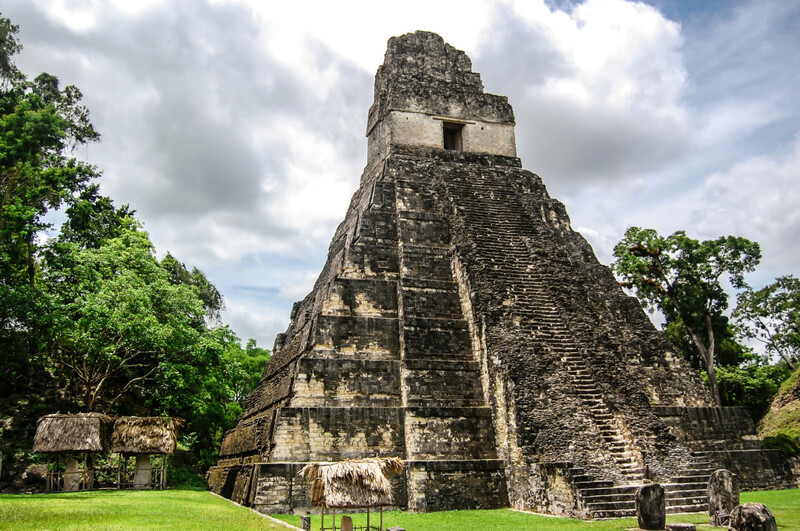 Tikal is one of the largest and best known Mayan Ruin sites in Central America, and for good reason. Deep in the jungle, you will need at least 3 hours to take in this site because of its size. Park officials charge a small additional fee to watch sunrise or sunset from inside the park, but it’s definitely worth the expense! 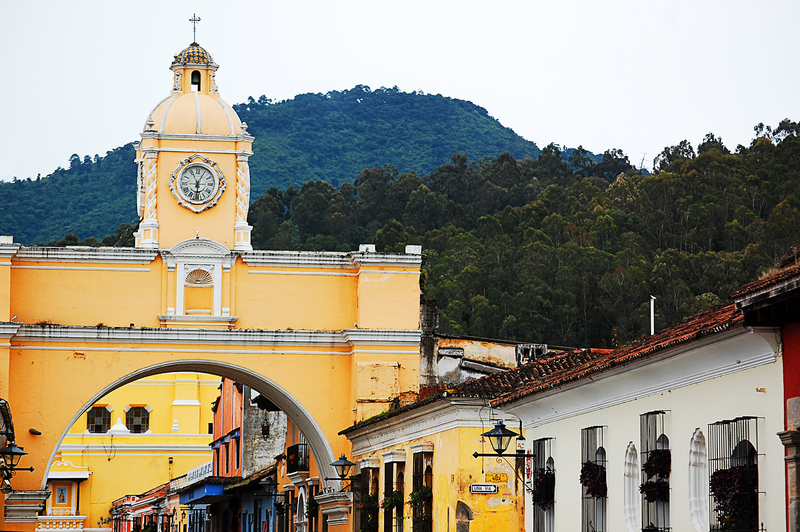 A UNESCO World heritage site Antigua in Guatemala has no shortage of things to do. From learning Salsa in one of the many salsa studios to trying the Guatemalan street food, Antigua is the perfect place to start your Guatemalan adventure. Just an hour outside of Guatemala City, it is easily accessible from the Airport and has bus services to pretty much everywhere you would want to go to in Guatemala or indeed Central America. No trip to Guatemala would be complete without visiting at least one of Lake Atitlan’s many waterside towns. Start at Panajachel and work your way towards Santa Cruz. Or, being your Lake Atilan journey in the hippy mecca San Marcos and finish at the “party” town of San Pedro, where more than a little tequila will be waiting for you! Semuc Champey is not the easiest place to reach—prepare for 8-10 hours in a minibus with no air conditioning and treacherous roads. However, while the journey is difficult (and a little bit terrifying), it is totally worth it! A collection of turquoise pools with a natural limestone bridge, waterfalls and caves in the heart of central Guatemala, Semuc Champey is a must-see destination. Guatemala has some amazing beaches—you can even learn to surf here! In fact, with lessons starting from around $7 an hour, it’s a pretty great place to learn. Although Monterrico is the most popular beach in Guatemala, it’s also the busiest. For a quieter time, take a shuttle from Antigua to El Paradon, which takes 2.5 hours and is virtually untouched by tourists! Rio Dulce, or “sweet river,” connects Lago Izabal with Livingstone on Guatemala’s Caribbean coast. The best way to experience this UNESCO world heritage site is by taking a tour through the jungle on a boat. You’ll be amazed how lush and untouched the jungle is, and how disconnected it seems from the modern day. If one of your reasons to visit Guatemala is learning Spanish, you’re in luck. In addition to the fact that friendly locals make it easy to practice what you learn, Spanish courses in Guatemala are some of the cheapest in the world. One-on-one lessons cost around $120 per week, and group classes are even cheaper if you prefer to learn that way. Pacaya is one of the most active Volcanoes in Central America and an easy hour hike, which is especially great if you’re hiking with children or older people. If you’re looking for a more challenging adventure, give Pacaya a miss and book yourself on an overnight tour to Acatenango. This is one of the most challenging hikes in Guatemala, and for the super fit, you can even hike to the knife ridge of Volcan Fuego where if you are lucky you can watch it erupt! The biggest market in Central America, Chichicastenango, or Chichi, is a crazy mix of color and culture. This market is like nothing you will have ever seen before. If one of your reason to visit Guatemala is shopping, this is definitely a place you have to add to your list! Chichi is also a delicious food market, so you’ll want to make sure to come with an appetite. 10. Cheap flights to Guatemala have never been easier to book! Whether you search flights to Guatemala from the United States or need to take a regional hop from somewhere else in Latin America, it’s never been easier to get a deal. That’s because Skyscanner lets you find the world’s cheapest flights in just a click or tap. You’ll be on your way to Guatemala before you know it! Irrespective of what attracts you to the country, search Skyscanner below for amazing deals on flights to Guatemala.